Experience the latest technology of Rx Pain Management System, which provides a non-invasive state-of-the-art patented alternative that will help you resolve your pain. 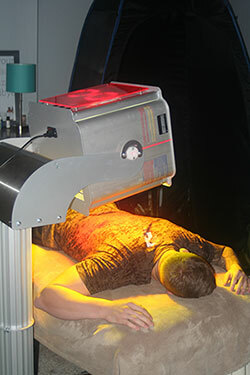 NIR is non-invasive and non-thermal treatment of musculoskeletal pain. 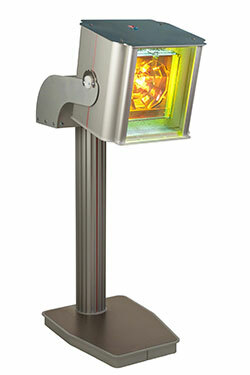 NIR emits multiple wavelengths in the 600nm to 1200 nm NIR range. Non-invasive exposure of near-infrared light therapy increases micro-circulation and promotes delivery of oxygen and nutrients to the affected tissue. This optimal healing environment reduces inflammation, swelling, muscle spam and stiffness. As the injured tissue heals and returns to normal, pain is relieved and function is restored. Contact us to discover how this technology can help you.